I've been inspired by my blogging friends, Tammy from Forever in First, and Miss Trayers from Not Just Child's Play to share my favourite summer books with you. Here in Canada teachers are just into their 3rd week of an 8-week long summer vacation, so there's still lots of time for some great reading! I finished The Passenger a couple of days ago and LOVED it. It opens with Tanya Dubois abandoning her husband's dead body, changing her identity and then high-tailing it out of town. I found it fast-moving and suspenseful as "Tanya" travels across the country and tries to come to terms with who she is and who she's becoming. The ending was great -- I was truly shocked when all the pieces finally came together. Still Missing by Chevy Stevens was another thriller I really enjoyed. Chevy is a local writer here on Vancouver Island and that's where her story takes place. In the opening pages Annie O'Sullivan, a realtor, is abducted at an open house. She's subsequently held captive and terrorized for over a year. I read this book in one sitting and highly recommend it. The Farm was a really interesting read. Some might find it a bit slow but I was hooked and found it fascinating. Daniel believes his parents are happily retired on a farm in Sweden. When he gets a phone call from his father telling him that his mother is mentally ill and paranoid, his world is rocked. The rest of the book is a conversation between mother and son, where she tells the tale of her life on the farm, trying to convince Daniel of the sinister goings-on. She's extremely believable and it's hard to know if she's telling the truth or is viewing her life through the warped lens of a paranoid mind. This is the second book by Tami Hoag I've ever read and it didn't disappoint. The 9th Girl is another thriller (seems to be my favourite genre). The story begins on New Year's Eve in Minneapolis when a half-naked body pops out of the trunk of a moving vehicle. The investigators, Sam and Nikki, believe they're looking for a serial killer. I enjoyed the suspense and the various side stories while Sam and Nikki do their thing. I thought the ending worked, but I should warn you that my husband thought it was a bit contrived. Oh my, I absolutely LOVED All the Light We Cannot See and so did everyone I lent it to. Anthony Doerr is such an amazing writer. I don't normally read stories set during the World Wars because I generally find them depressing and sad (no surprise there) but this book was filled with such hope, goodness and love that I couldn't put it down. The story is centred around two characters, Marie-Laure, a blind French girl and Werner Pfennig, a gadget-loving German orphan. Early in the book Marie-Laure and her father flee Paris during the Nazi invasion. They go to the walled city of Saint-Malo where they stay with her great uncle. Werner grows up and is eventually enlisted by the Nazis to track down the resistance movement; he eventually finds himself in Saint-Malo, also. Doerr does a magnificent job of inter-twining these two beautiful and remarkably different lives. I'm a huge fan of Charles de Lint and have read most of his books (and he's a prolific writer)! I actually read Trader, a modern-day fantasy, earlier in the year and really enjoyed it. Leonard Trader and Johnny Devlin could not lead more opposite lives. Trader is a quiet, respectable and highly-sought after guitar-maker, while Devlin is a drunken, unemployed boor. One morning Trader wakes up and finds himself in Devlin's body. This is the beginning of Trader's journey to find and return to his own body (think dreams, spirit world, and self-discovery). This was a thoughtful and highly entertaining tale! Okay, that's it for my adult book recommendations but I'll be back with more in a month or so. If you've read any of these books I'd love to hear in the comments what you thought about them. And if you have a book you absolutely adored, please tell us about that, too! 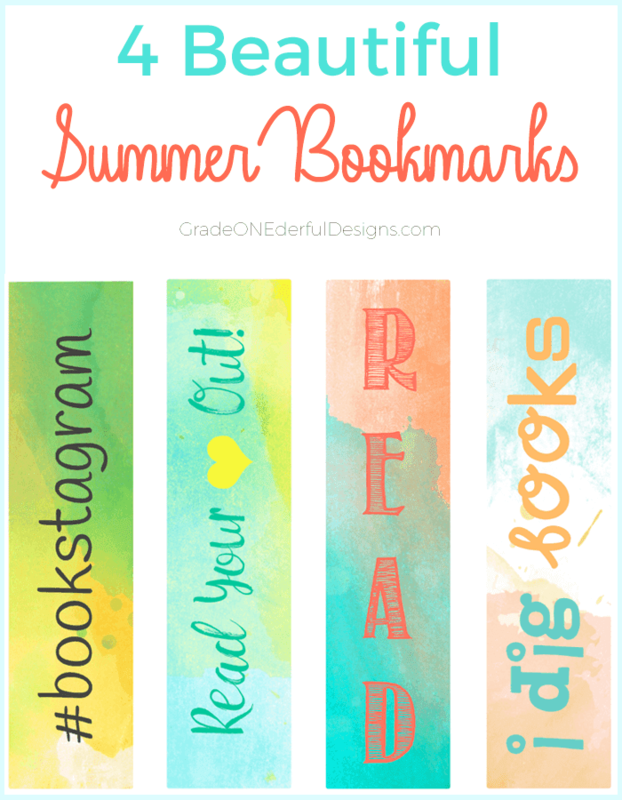 PS Be sure to grab my new summer bookmarks.